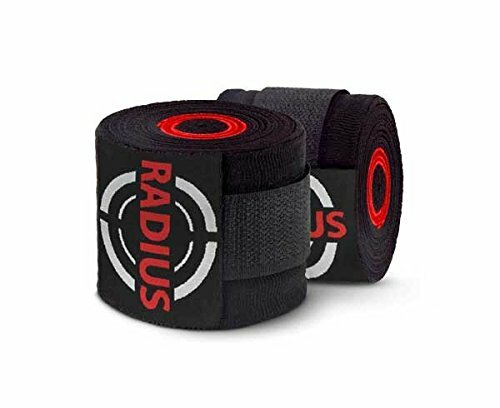 Radius Wraps is a company not so well known in mainstream fight gear, it was by chance I heard about this brand on The MMA Hour with Ariel Helwani. 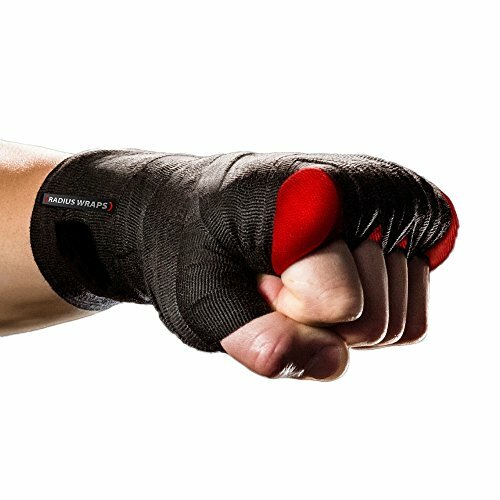 After listening about the foam Radius Rolls used in combination with hand wraps, the placement of the rolls, and how it was popular decades ago to pad your fingers a little below the knuckles to prevent hand injuries, I looked into the company. I saw their product and thought it was a simple, yet great idea, and if it works half as well as I heard on Helwani’s podcast, then Radius Wraps would be well worth the money. I’ll start by saying two things: One, I’m not a hand wrap guy. I like to throw gloves on and go at it, I would trust my gloves to provide protection and I didn’t like to spend the time wrapping my hands. Two, I got sore knuckles a lot. Yeah I know, maybe the first thing is the reason for the second. I have never broken a hand or had any other form of injury other than sore and lightly bruised knuckles; it is uncomfortable and can have a lasting effect on your training. I was tired of it and willing to take the time to wrap my hands before training, I decided if these wraps are good for Patrick Cummins and Fabricio Werdum then they would be plenty good enough for me. I ordered the Elite Package from Radiuswraps.com for $24.99, after subscribing to their newsletter and receiving 15% off my order, it was set and on the way. In a few short days I had 2 pairs of hand wraps, 3 sets of Radius Rolls and a couple stickers for the collection. The three types of Rolls are Slim, Hybrid, and Ultimate. Each one getting a little bigger in diameter, they come in zip-lock style packaging and I still use the original package to store my Radius Rolls in. The wraps are similar to most good quality hand wraps except there is a pocket sewn onto the wraps where you insert the rolls. There is a little prep work before you use the Radius Wraps. You’ll need to trim the rolls to the width of your hand. A box cutter or a sturdy pair of scissors will take you about a minute to do all 3 sets, not hard work, but if you stuff the Radius Roll into the sleeve and start to wrap up, you’ll understand pretty quickly that it just won’t work. Your packaging will have instructions for you to trim the rolls and a link to an instructional video for wrapping your hands. A quick YouTube search is effective, or you can go to the Radius Wraps website and find the videos embedded. I like the 4X wrap the best, the video has great instruction, plus the ability to pause and go back is really nice. After watching and re-watching about 4 times, I had both hands wrapped and I was ready to hit pads. I found that using the Ultimate rolls with my Venum Challenger 16 oz gloves to be a good fit and a nice gauge of how well the Radius Wraps would work. My trusty Venum gloves have quite a few miles on them and have been known to leave my knuckles sore. I decided to start on the heavy bag; my bag is a relatively new Muay Thai bag, not broken in or soft in any spot. I found myself punching at 70-80% comfortably and in a short time I was throwing full power with no worries. After a few rounds for research sake, I abandoned all technique and winged a few overhands as hard as I could. I did not feel pain at all in my knuckles, though it tested my wrist. I would not recommend doing this with anything less than the Ultimate roll and 16 oz gloves. 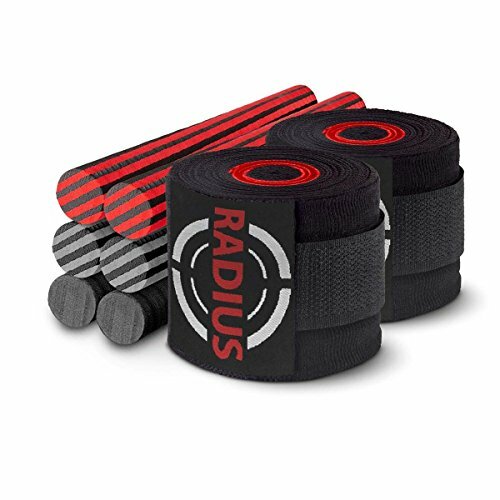 I have owned and used the Radius Wraps for a few months now, and I rarely train without them. The only cases are those where I’m using MMA gloves and I can’t get the Radius Wraps to fit in the glove. Even the slim rolls cannot fit comfortably with any of my MMA gloves due to the placement of the Radius roll slightly below the knuckles. 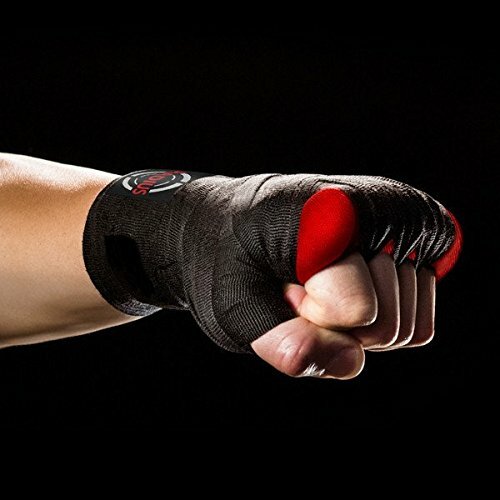 It’s a problem that the folks at Radius Wraps must have been aware of because now they offer MMA sparring gloves with Radius Rolls built into the padding. It is worth noting that your boxing gloves will need to have a good amount of space in the hand compartment for these wraps, though my Venum gloves didn’t have any issues, a set of Hayabusa Muay Thai 16 oz gloves needed to have the slim rolls and that was almost too tight. A high point about Radius Wraps is in the case you break down your Radius Rolls, you can purchase just the rolls instead of the entire package, I would estimate I have about 80 rounds on the Ultimate Rolls and they’ll need replaced after another 20-40 rounds. Overall, the Radius Wraps are great. They are worth every penny and more. If you are leery of spending around $25 for 2 sets of wraps and 3 sets of rolls, don’t worry; the level of protection you get is better than any other wrap that you can do for yourself, and you can’t put a price tag on being able to strike hard while keeping your hands protected, especially if you have previous hand injuries or are prone to sore knuckles. Radius Wraps has great instructional videos, an informative website, and a long list of professional fighters singing their praises. I overwhelmingly recommend adding Radius Wraps to your gear bag. Greg purchased this pair of Radius hand wraps himself for the full price. This did not influence the outcome of this review.